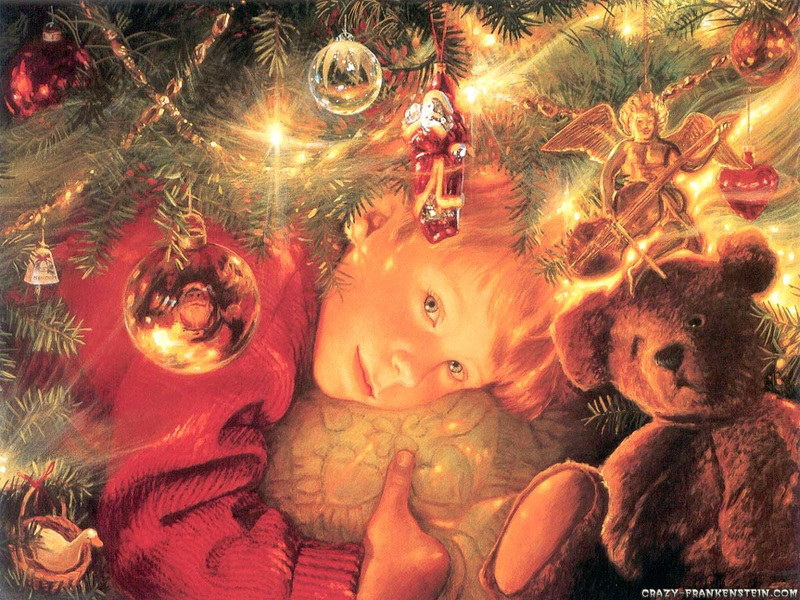 At this time of year, lots of children’s dreams are shattered by adults and other children who tell them that Santa Claus does not exist. This is, of course, a wicked lie. As such, I shall now refute some of the most common arguments used to “prove” that Santa does not exist. This is not true. There are some similarities between the story of Santa and the story of Saint Nicholas, it’s true, but they are just coincidental. Just because two stories share some similarities, it doesn’t follow that one was based on the other. The stories about Saint Nicholas are interesting to believers in Santa, but they are irrelevant to Santa’s existence. The stories about Santa are undoubtedly true, whereas the stories of Saint Nicholas may well be mostly legends. Your parents may well bring you some presents, because it’s natural to want to give presents to those you love. However, Santa gives presents too. In a mysterious way, he even delivers presents that other people bought. How he does this is quite simple. He checks the presents that are left under the tree, makes sure they are all good ones, then puts them back exactly where they were. Thus in a sense he delivers even other people’s presents. Every year, large numbers of previously unknown species are discovered by biologists. It is pure arrogance to claim that such a creature as a flying reindeer cannot exist, simply because you have never seen one. They are extremely rare creatures and are only found around the North Pole. They are also very shy, so they hide whenever humans come around (unless they are wearing a red coat with white fur trim, which they have been trained to recognise). This is such a ridiculous idea that it is barely worth refuting. Of course Santa can get around the world in one night. He only visits people who celebrate Christmas, so large swathes of the world where religions other than Christianity are predominant are excluded from Santa’s rounds. For the rest of the world he uses a special time dilation device that creates a miniature black hole, accelerating Santa to beyond the speed of light and thus allowing him to travel back in time. Thus he can appear to be in many places at the same time, which also accounts for how he can appear in many shopping malls simultaneously. Santa has chosen not to share this technology with the wider world out of concern that it might be used to cause harm instead of good. 5. As most new houses don’t have chimneys, how can Santa get in and out? It is widely known that Santa’s preferred method of entry into houses is via the chimney. However, as most modern houses have at most a narrow flue pipe rather than an old-fashioned wide chimney, this is often not possible. In most countries it is compulsory for all births to be registered. Santa’s elves have many talents, including hacking into government computer systems to obtain the births register. Thus he has a list of all children’s names and ages. It’s quite simple for his army of covert espionage elves to find out which children are naughty and which are nice, and to pass on that information to Santa via a secure satellite e-mail system. An unfortunate side-effect of Santa’s time dilation device is that any food he has eaten recently is not transported with him. Rather, it is destroyed during the process of time travel. Thus he needs to eat again each time he travels backwards through time in order to keep his strength up, and each time he begins with an empty stomach before he eats the mince pies, cookies and other foods that thoughtful people have left out for him. 8. Santa, if he is real, must have been alive for hundreds of years. Nobody lives that long. Actually, Santa is only forty-eight years old. He appears to have been around for much longer because he travels through time a lot. Contrary to popular belief, Santa does not lounge around doing nothing for most of the year. Apart from three weeks’ holiday during the summer, he works six days a week travelling through time to deliver Christmas presents in various years. The poem itself was written by a fallible human being and thus contains some minor inaccuracies, but nevertheless it contains deeper, more profound truths about Santa Claus that we would all do well to learn and heed. Santa, though described and extolled through the written word, is much greater than mere words can fully convey. Nobody can prove conclusively that Santa Claus does not exist. Arguments can easily be found to counter all claims that attempt to disprove his existence, if a little imagination is employed. The same is true of God. It is thus clearly true that God is just as real as Santa Claus.